Developing your dance creativity in both practice and theory. Studying Contemporary Dance taught by expert dance artists, teachers and researchers in a stimulating environment is where you get to develop your creative interests. Choreography is central to your studies and is explored in a variety of ways including solo and group work, site-specific, screen dance and mobile technologies options. All student choreography is taken to production with public performances every semester. Dance at Chichester has consistently scored 100% from the National Student Survey for satisfaction with their course programme. We have long established links with a variety of dance companies and organisations and has for many year engaged successfully to place students in a work experience or placement. I chose to study at the University of Chichester because of the practical focus. I wanted to feel challenged physically, as well as creatively and theoretically. I am now in my second year of the BA Dance Hons course and am feeling yet more challenged and engaged. The theory based modules feel relevant and interesting; allowing you to explore politics, philosophy and other subjects that i have discovered link to dance. I would say that creativity and choreography is the departments strength. The teaching is very thought out and encourages students to think and create in a way they never have before. Having the opportunity to study a broad-based dance education in the first year allows you to experience new areas of dance which you can then select to specialise in at Levels 5 & 6. These include Dance and Health, Film and Dance, devising repertory which is in addition to daily dance technique classes and weekly choreography class together with the introduction to dance theory and analysis. You can study abroad at Level 5, with one of our partner institutions across Europe and in America and Canada. 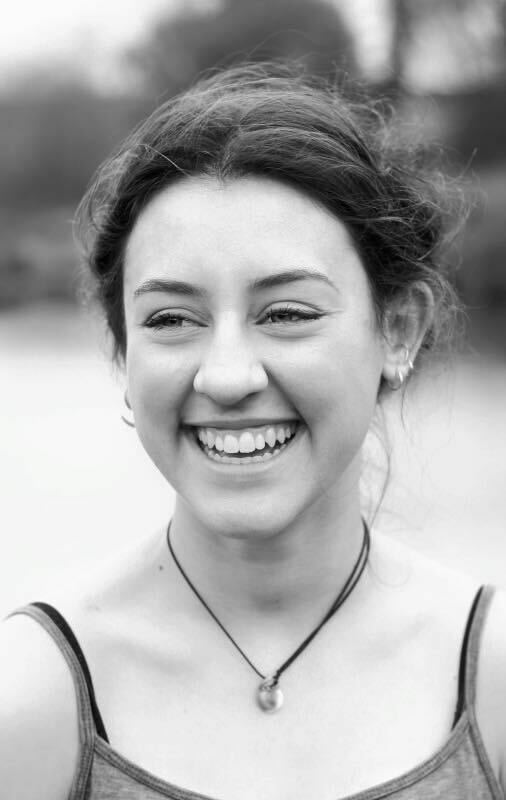 You will have the opportunity to undertake a work placement as well experience new areas of study such as Dance Movement Psychotherapy, Dance Journalism, Teaching Dance Technique or Dance Criticism. With links to high-profile dance company, arts organisation and educational school/college settings, you can start to map out your chosen career direction. The first year is a broad-based introduction to choreography, dance theory and analysis, contextual dance studies entitled Dance Portfolio as well as daily dance technique in styles such as Cunningham, Limon, ballet, contact improvisation or release-based techniques. The second year enables you to specialise more in choose areas such as Improvisation and Performance, Repertory, Dance Journalism as well as honing your choreographic skills and technical dance practice. You can also opt to undertaken a period of study abroad as part of our international and Erasmus exchange programme. The third year enables you to select strands of specialisation including Dance Movement Psychotherapy, Dance Teaching (including a school or community based placement), Dance Production – Arts Administration or Technical Dance Theatre specialisation, Dance Placement, Dance Criticism and Body Politics as well as Choreographic Projects, Mobile Technologies and Interdisciplinary Arts Practice. Our students will use the facilities within our dance technical team to enhance their understanding of scenography, sound and cameras, and in addition the editing suites to support their choreography and creative practice that are situated in the Learning and Information Zone of the library. The library offers a substantial collection of books, journals and other materials to help you further your dance knowledge and research. There are a number of study areas for group and quiet study including Wi-Fi areas for laptop use are available, or you can use our open access PC and Mac areas. We use an electronic learning environment with an expanding portfolio of online library resources from anywhere at any time. The Learning Resource is the hub of the learning environment. It has two upper floors of library resources, one for silent study and one for quiet study, both of which have recently been refurbished. On the ground floor, you’ll find the Support and Information Zone, Media Centre, Otter Gallery, Costa Coffee and a variety of IT resources. You will build your practical experience and subject knowledge through core and optional teaching modules appropriate to your interests and breadth within the dance curriculum. Double module: A double module is spread over two semesters (30 credits normally) for example: Dance Portfolio or Dance Placement. Long thin module: A standard module can be spread over two semesters (15 credits normally) example: Somatic Practices. Summer module: Summer study, condensed into a two week period (15 credits normally) for example: Interdisciplinary Arts Project and Performance and Place. Theory modules are linked to practice and allow you to begin to develop research skills necessary for degree study. Teaching is delivered through illustrated lectures and small group seminars. For example: Critical Lenses and Identities, Research Methodologies. Daily practical classes enable you to engage in healthy, safe dance practice, through floor, ballet barre, centre work, traveling exercises and improvisational exercises, designed to develop technique skills needed for university dance study. For example: Dance Technique which is taken at all levels. The Learning and teaching in dance technique allows you to develop movement memory through repetition of set sequences, timing and musicality, use of space, and experiential learning through improvisational techniques. To extend practice, you will be involved in the ongoing rehearsal and choreography of peers. You will be interviewed in pairs or threes; you will be asked about your experience of, and interest in, dance to date. 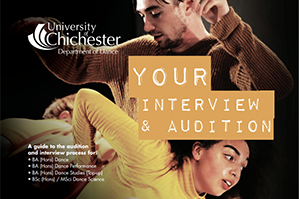 We also want to know why you wish to study Dance at university. You will take part in a contemporary dance technique class and a creative task-based practical class. We are looking for your potential for contemporary dance study (technique and creative practice) and how you work with others on practical tasks.